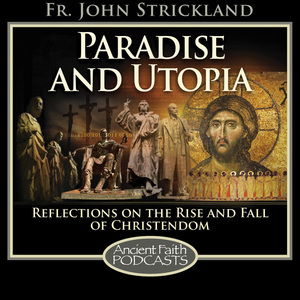 If you would like to enter more deeply into the history of the rise and fall of Christendom, this podcast may be for you! I have been producing it since 2013 and add new episodes regularly. It is hosted by Ancient Faith Radio, which has many excellent podcasts presented from a specifically Orthodox or eastern Christian point of view. My own series can be heard by clicking on this link: http://www.ancientfaith.com/podcasts/paradiseutopia. I hope you enjoy it!